Next review Bookvip - The food is really good, it's 24 hour all inclusive, you can order anything they will take it your room to your no problem, drinks are great and the whole experience was amazing. Jun 03, 2016 It was good speaking with you. I am glad we were able to resolve the issue and get you on vacation in Myrtle Beach. As an owner, I do pride ourselves in our customer service and as the fastest growing travel company in the world we do make mistakes, however, we are always working to improve as company. 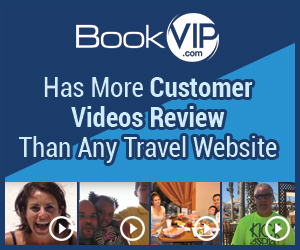 The owner of BookVIP, James Colligan, contacted me the day my reviews were posted. He apologized for the poor customer service, indicated that my call should have been escalated to a supervisor and assured me that this was not the way his business was operated. Told me my money would be refunded and asked if I would still like to go to the resort. I said that all the wife and I wanted was to get away a few days, relax and do some fishing. He graciously offered to send us free of charge. Within hours I received e-mail confirmation and then followed up with the resort by phone personally to confirm. Long story short, my money was refunded, we enjoyed a wonderful few days at Myrtle Beach and we plan to give BookVip another chance in the very near future. While business owners are ultimately unable to control every action of every person in their employ, they can make sure that every consumer complaint is resolved respectfully and with integrity. James did exactly that and I felt that his apology on behalf of his (hopefully former) employee was heartfelt and sincere. End result, I had a wonderful vacation and would encourage other would be travelers to give BookVIP a try. If no stars had been an option, they would have gotten that. Booked a vacation, they debited my account. A week later, no confirmation from resort. Called Bookvip, explained that my vacation was in about a week and I had no confirmation from resort. Was told they would follow up with resort and get back in touch with me. Several days later still no confirmation from either Bookvip or resort. Now it's two days til vacation is supposed to begin. Called to cancel and request refund. Given the runaround for over an hour. Kept being connected with someone who spoke English poorly and apparently understood it even less. Kept saying just keep it as open dates. I insisted I just want refunded. Round and round we go. She refuses, flat out refuses to connect me to cancellation department or to a supervisor. At this point, I doubt I'll ever get my money back. Absolutely worst service EVER! Review #838434 is a subjective opinion of cntrygentleman.